England. A country famous for its heritage, culture, natural beauty and, importantly, great British pubs! To celebrate English Tourism Week, we are exploring why we think our village of Elton combines all of the above to make it a hidden gem of the English countryside. The Crown Inn is situated in the small village of Elton, which is 3,758 acres in size and situated seven miles south-west of Peterborough. The River Nene, the UK’s tenth longest river, meanders alongside Elton and its picturesque banks provide the perfect location for a walk, picnic or a spot of fishing. 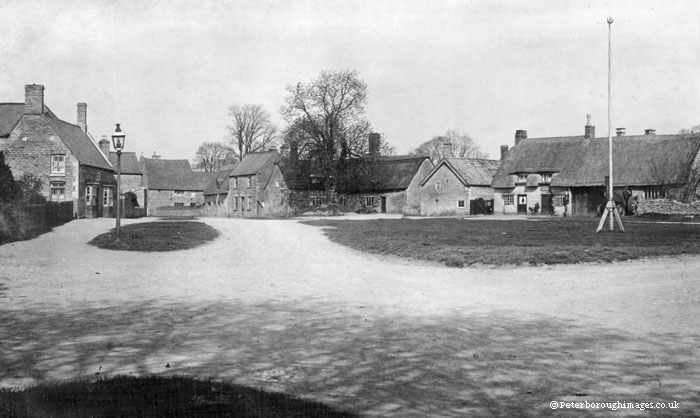 The history of Elton, or Adelington as it was once known, can be traced back over 2,000 years with evidence of a 2nd century settlement found in Nether End in the north of the village. The first known records of the village detail a trip from the Danish King Canute in 1035, in which the then Danish lord and owner of Elton became so drunk that he offered the village for sale at “50 marks of gold before day break”. Aethelric, the Bishop of Dorchester, collected the money from friends and acquired the village the next morning and granted it to the Abbot of Ramsey Abbey, located just 20 miles away. From this date, the village was known as Aethelington. Since then, Elton has had only two other owners, the Sapcote family from 1300 to1600 and today’s current owners, the Proby Family. This small chain of succession has allowed Elton to establish one of the best sets of estate records throughout all European villages, with surviving records dating back to 1279. Elton was also listed within the 1086 Domesday Book, as sanctioned by William the Conqueror, first Norman King of England. The records detail the land to have had three manors, 37 households, a church, 28 ploughlands, 184 acres of meadow and two water mills. Although no buildings past the medieval period remain, items from the Roman conquest and later period of the Stone Age have been found across the parish. The remains of two Anglo-Saxon crosses, dating to around 970, can still be found in the churchyard today. The Crown Inn is one of the oldest buildings in the village. The oldest part of the main building dates back to the early 17th century, with the west wing added in the latter part of the same century. If you are looking for a weekend away, why not visit us at the Crown Inn in Elton? Our five-star rooms and restaurant serving locally sourced food makes the perfect pit stop for exploring the treasures of the local area. Click here to browse our rooms and book.